In July 2018 Shannon Little, known to the world as author Joyful Soul, posted this message on INSTAGRAM: "Best Thing I Ever Did Was Believe In Me"---and that is a message she has been sharing with the world. 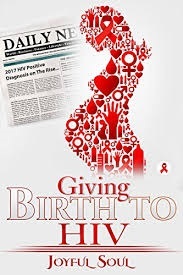 I discovered Joyful Soul through Facebook initially as she was promoting her book GIVING BIRTH TO HIV. With a thought-provoking title and a fascinating story inside, the book has quickly become a conversation piece. In this conversation Joyful Soul and I talk about the book, her message and walking in one's purpose. "It's been rejuvenating to be able to see that I have a voice and something that someone wants to hear. It's been inspiring to me to be able to see that for myself and invest in it and continue the walk. "I was at a place last year where I wanted to share my story and everything I had endured to help someone else. That was the turning point for me to say this can make a difference." JOYFUL SOUL ON BEING HONEST WITH YOURSELF. "It's a very intense process. Anyone who does nonfiction will tell you [that] you have to go back to the beginning and live it out as you're writing it. It puts a little pressure on you, but it allows you to put it all out there and be yourself while you're doing it. "I never wanted to tell this story. My point that I got to was when I wanted to date again after my husband had passed away. By putting it in a book I invited the platform so people can understand where I've been and where I'm trying to go." "[The title of the book] was my way of saying I wanted to give life to a dead situation. I wanted to give birth to it to show them (the reader) a different way. "People who saw me and never knew exactly what I had gone through were astounded, and it allowed them to open up to me even more. It created a platform where they were able to share themselves. [The book] started a healing process for me and them. It's more than a book. It's a movement." 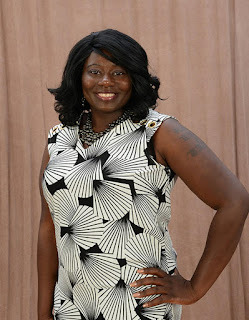 As Joyful Soul continues to share her message through the written form and her social message she hopes to be able to encourage others and get them to see that their lives can be better, if they are willing to do the work. When it comes to relationships she told me that "A relationship does contain work. It contains serious commitment and communication. Being able to lay that foundation is a great experience for myself." She knows it will be the same for us too. In meeting people where they are Joyful Soul is sharing her brand and spreading the word that if we do the work we can all give birth to something special. And that's something we can all look forward to doing. Stay connected with Joyful Soul on Facebook at www.facebook.com/authorjoyfulsoul and Instagram at www.instagram.com/officialjoyfulsoul. You can also visit her website www.insidejoyfulsoul.com.